Michael Toman, former Preston North End and Bristol City professional footballer, lost his life in Burma during WW2. 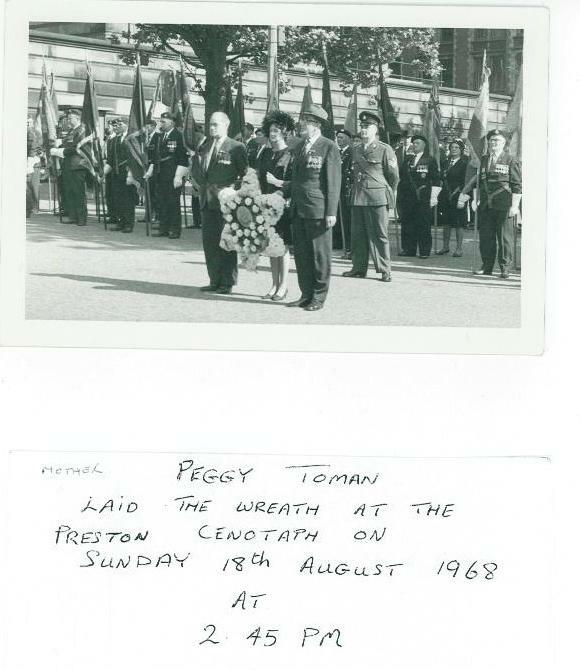 The Burma Star Association asked Peggy Toman to lay their wreath at the Preston War Memorial in August 1968 during a dedication service for the Burma Star Association Standard. 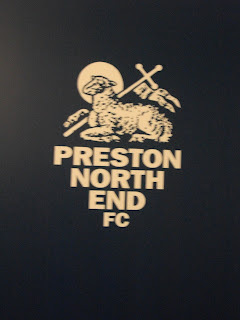 Before WW2 Michael Toman had been a professional footballer for Preston North End and Bristol City FC. Michael lost his life out in Burma. 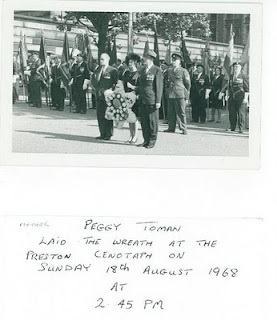 While searching for casualties on the Commonwealth War Graves Commission website I have noticed many of the cemeteries, particularly those in the UK where perhaps only small numbers of casualties are buried, now have an actual cemetery photograph posted to the casualty's certificate. 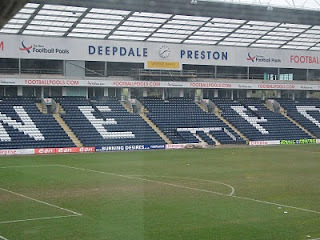 Previously, there was only a photograph of a commemorative stone reading 'Their Name Liveth Evermore' and a poppy wreath. I had realised for some time the CWGC has been involved in trying to get an actual photgraph of each headstone or memorial. Obviously this is a big project and will take some time. This is a highly commendable project, and thanks to the Commission for all their efforts on behalf of the casualties and their families. Here's an interesting story from the Yorkshire Evening Post concerning some lost letters found in Italy. 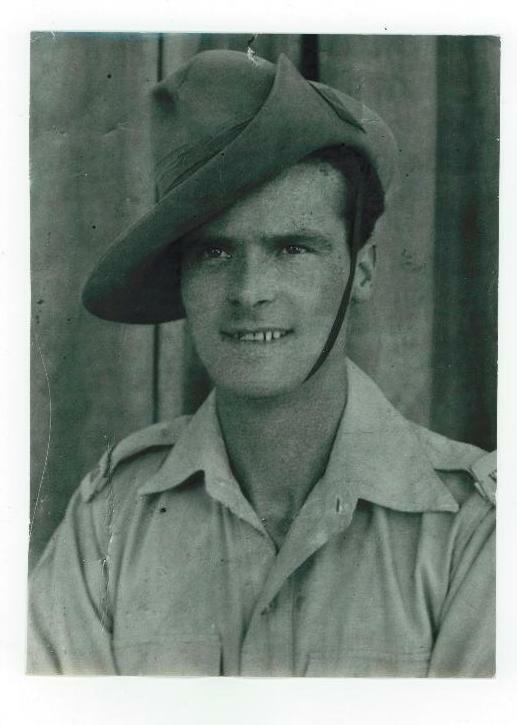 The letters, written by Laurie Armitage, a teenage soldier from Leeds, who passed through the Italian town of Rocca San Giovanni on the Adriatic Coast in 1943. 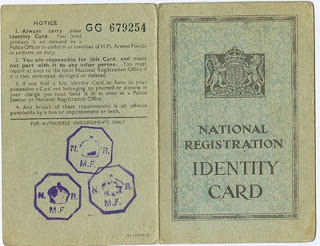 These ID cards were issued in Britain during the Second World War. 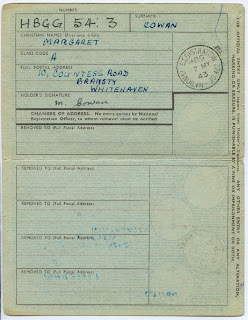 They had to be produced upon request by a police constable or member of the Armed Forces. Unlike many other countries at the time there was no personal photograph attached.